...So Macklemore and Ryan Lewis' album 'The Heist' lived up to its title, no? They won four Grammy's: Best Rap Performance, Best Rap Song, Best New Artist, and gasp best Rap Album. Everyone has erupted saying that he robbed Kendrick Lamar who was the favorite to at least win Best Rap Album. People have gone as far as saying that Macklemore's album isn't rap or hip hop. Whoever says or thinks that please have several seats...like all of the ones in the arenas that's he's selling out across the globe. I'll delve into that in a moment. Let's knock out the softball stuff first. Macklemore was supposed to win Best New Artist because he is. His numbers prove it. He's doing stadiums and the perfect storm of the Seattle Seahawks being in the Superbowl means that you will be hearing LOTS of 'Can't Hold Us' win or lose. Best Rap Performance: 'Thrift Shop' deserved the win for that. According to Billboard's Hot 100 there were three rap songs that reached number one on the charts in 2013. 'The Monster' by Eminem (which will dominate 2015's Grammys because it came out in November after the deadline for nominations, 'Can't Hold Us' by Macklemore and Ryan Lewis and the one with the longest run was 'Thrift Shop.' It was the best performing rap song in 2013. No disputing that. You may have thought the song was corny but there was a charm to it, it was humorous, and catchy in a way that has all but had no prevalence since Biz Markie (remember when hip hop was lighthearted?). Best Rap Song: Thrift Shop won. Now, I don't think it should have won but I'm not mad at this choice. 'Started From the Bottom' should've won hands down. But we're here to talk about Macklemore. For said reasons in the previous paragraph I'm not too mad with this song winning. The Grammys will not let a song called "F****n Problems" win in which half of the chorus is bleeped out. But it should be acknowledged. "Holy Grail" has more Justin Timberlake singing in it than it does Jay-Z rapping. A song called "New Slaves" isn't winning either. Let's just call it what it is. That puts us in a deadlock between the last two songs standing. Best Album: No, 'The Heist' shouldn't have won. By the time I got to track number four I was bored. Good Kid m.a.a.d. City should've ran away with this one with nothing else standing even the most microscopic iota of a chance. But since I'm here to defend Macklemore let me give some reasons why it could be best rap album. Sales-wise it's the best album. It's sold more units than MCHG and GKMC, the two albums that were considered the front-runners for album of the year. From a sheer technical musical standpoint 'The Heist' is the more superior album. That's about all I got. Now for those who say that Macklemore isn't hip hop. All the way false. Didn't he rap on his album? Yep. More than Drake did and it was nominated for Best Rap Album. It's a "pop" album because it's more popular than all of the other albums which it was/is. I think that everyone considers themselves rap critics nowadays. Most of these said critics need to expand their minds a little bit. 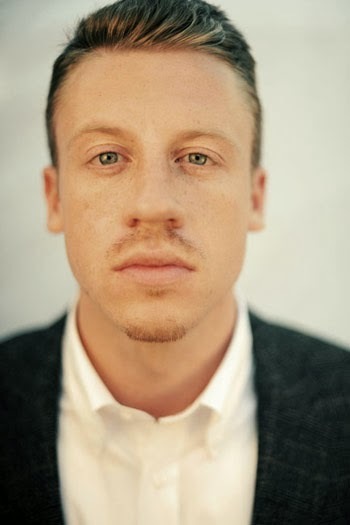 The truth is for everyone that says that Macklemore's album is trash, and isn't hip hop: 9/10 can relate to his music than Jay-Z's being mega-rich and former drug dealer, Kendrick's stories of growing up in the ghettos of Compton, Drake's amorous love life, or the frustration of Yeezus. Think about it. Yep. All of your favorite rappers and "real emcees" think he's hip hop. Your favorite rapper is listening to him. Talib Kweili went on tour with him. XXL Magazine put him on the cover of their coveted yet controversial Freshmen list in 2012. What's more hip hop than the hustle? Jay-Z partnered with Samsung to put his album. Kendrick's album was distributed by Interscope which is a subsidiary or Universal--the largest record company on the planet. Macklemore is indie by all means and is crushing it. Just thought I'd throw that out there. I don't think Macklemore and Ryan Lewis should've won the Grammy for Best Rap Album. But let's give him a break because he is hip hop and think outside the box a little bit more. With that said I like 'Section .80' more than GKMC...I'd even go as far as saying the storytelling is better. And Jay-Z didn't even rank MCHG in the top five of his OWN catalog. (Switch Reasonable Doubt and Blueprint and Vol. 3 should be ranked at least no. 4 because bar for bar it's better than everything else sans the aforementioned albums). I Love This Picture of Jay Z & Beyonce! New Music- India Shawn Covers Beyonce's "XO"